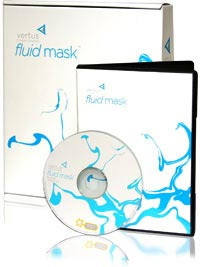 In a partnership with Vertus Software, we are offering Fluid Mask at the special discounted rate of just $229 - PLUS free upgrades for the next 6 months. This is an exclusive offer for visitors of Depiction. To qualify, visit the discount price page. 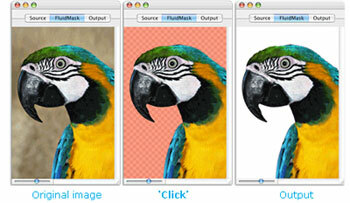 Fluid Mask is a highly advanced software tool designed to make life easier for everyone who creates cut outs. Built as a plug-in to Adobe Photoshop, Fluid Mask is the new next-generation cut-out tool. Behind the product is breakthrough technology that mimics the way the eye, optic-nerve and brain perform visual processing. It offers an intuitive, accurate and fast approach to cut outs. Using Fluid Mask you apply selections to a meta-data layer of image information called the Image Information Layer (IIL). This is made up of boundary, texture and color information pulled from your image. Now professional results are more possible than ever before. Make super fine mask selections using new sampling and selecting tools. Check out the new edge blending algorithms. And the new complex hair blending that automatically gets great results from multi-colored whispy hair. No longer should hair be the cutting-out nightmare it is today. Speed - One-Mask lets you work quickly on your cut outs. Opportunity - work with images you'd never contemplate cutting out before. Detail - preserve all-important edge information for a professional quality cut out. On the Fluid Mask Cutout Gallery page you'll find some of the complex cut outs Fluid Mask can help you create. Getting such precision results may look like a lengthy process but each of these didn't take long to complete. You can also e-mail your 'before' and 'after' cut-out images that were made using Fluid Mask. If your images appear on the gallery, you'll be sent a free copy of Fluid Mask for you to give to a friend. Download a free trial of Fluid mask. This tutorial shows you the revolutionary new features of Fluid Mask 2.0 by taking you through the cut-out process step-by-step. In this tutorial you'll be introduced to the three mask types and the tools we use to apply them. In this tutorial you'll be introduced to the basic concept of applying a mask, performing a test render and creating a cut out. In this tutorial you'll be introduced to the Region Editor and how to apply masks at a pixel level. Here we see how the Edge Noise filter can help us smooth edges and create perfect cut-outs. This tutorial demonstrates the Force edge tool and how it can be called upon as a last resort. This tutorial demonstrates how to tackle images with complex backgrounds and foregrounds by working with Regions. This tutorial illustrates the blending power of the Complex mask and shows you how to work within confined regions. In this example we show you how to achieve great results when dealing with defocused images. Some images suffer from what we call Spectral Effect. Learn what they are and how to deal with them.